Please Note: Specials are generally available for 1 week or until sold out. This week our featured ingredients are maitake mushrooms and Brussels sprouts. Maitake mushroom, also known as hen-of-the-woods is a locally foraged mushroom. It is earthy savory and full of healthy benefits. Autumn is perfect for Brussels sprouts as well, and these specials are so full of flavor. The spicy wok-flashed Brussels sprouts has been an all-time favorite special an is a must try. 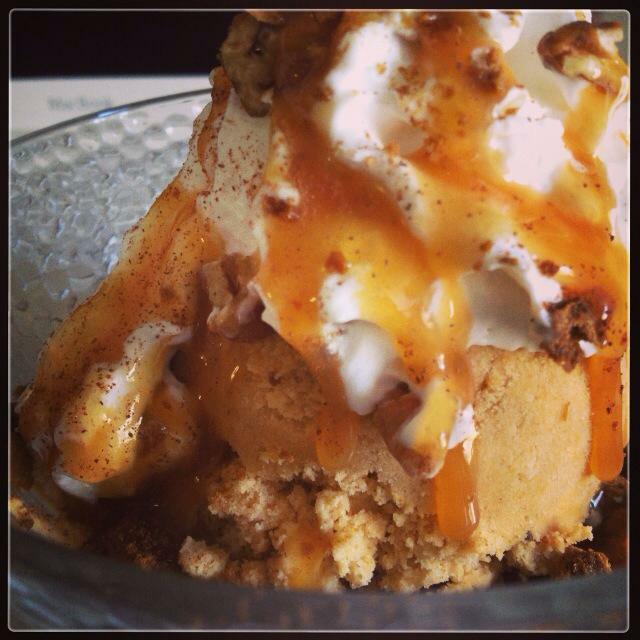 Also featured this week is the pumpkin coconut sundae – homemade pumpkin-coconut sorbet topped with crushed ginger snap cookies, pecans, caramel and whipped cream. The sorbet is sweetened with palm sugar, brown sugar and maple syrup. It sounds scrumptious and is too good looking to pass up.